After YouTube announced its new HTML5 roll out, it is now Vimeo's turn to announce that they are also implementing HTML5 experimentally (read beta). Just like that with YouTube, the supported browsers listed by Vimeo are - Chrome, Safari and Internet Explorer with Chrome Frame installed. No mention is made of Opera and Firefox although the latest builds of both supports HTML5. 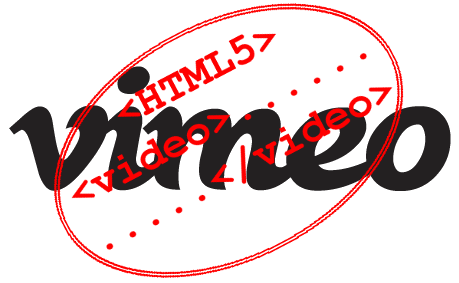 The HTML5 player, according to Vimeo, will be available to 90% of the videos uploaded in the last one year. However, viewing the video in fullscreen mode is not possible. This is a limitation of the browsers and will, hopefully, be addressed soon. To enable the HTML5 player, all that the users have to do is click on the "Switch to HTML5 player" below any video.